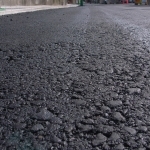 PENDLETON, Oregon – The Pendleton City Council is holding a work session at 7 p.m. in the John Brenne Room at city hall, and topping the agenda are two items regarding street maintenance in the city. City Manager Robb Corbett has been tasked by the council to find $1.2 million dollars for street repair in the next budget. The normal amount spent is around $300,000, which is far below what’s needed according to city officials. Corbett says it’s not going to be easy. If he has to use money from the city’s general fund, it could mean cuts in services. Pendleton Mayor John Turner says the people will have a say in where the money comes to bring the roads up to shape. The council will also look at a study by Jensen Strategies LLC of the shape city roads are in. It finds that Pendleton’s roads are in worse shape than a number of other cities of similar size. That efficiency expert is looking at ways the city can economize its other operations to make it possible to fund street repair more completely. Among the suggestions made in the report are charging a street light fee, making a larger general fund contribution, and utilizing one-time transfers of new revenue like marijuana taxes. A percentage of Pendleton’s marijuana tax is already earmarked for street maintenance. The full report can be viewed at https://cityofpendletonor.civicweb.net/document/46542/Final%20Report.pdf?handle=4ABEF3E122744FAC99D0E48027167565.